Once upon a time, I found joy and contentment in creating things. Some of these things were useful and had purpos e. Others were created for the sheer joy of creating. I am not sure exactly how or when I lost my creativity mojo (for lack of a better word) but I did. I wish it were as simple finding a lost set of keys or a wallet, which usually only requires retracing my tracks and starting with when I last saw them. When it comes to lost creativity, I am uncertain how to pinpoint the moment of loss. Either way, I woke up recently missing it terribly. Let’s start with this blog for example. In 2014, after experiencing the life changing event of becoming an empty nester, I decided the best way to explore this new chapter was to share through this blog (badassnesties.com). After 19 years of focusing my energies on raising my two boys, I was finally able to shift the focus to myself. This focus was not intended to be selfish but more to discover how I would continue to find and share joy in this next chapter of my life. The bigger goal was to discover a purpose that intersected with a career choice. I wanted to explore the meaning behind “If you love what you do, you’ll never work a day in your life.” Having always wanted to find expression as a writer, this blog would not only be a place to start but also create a place of self discovery. However, after only three posts, it was retired into a pile I like to call “the creative graveyard.” It joined my long-forgotten scrapbooking, photography, knitting, jewelry and music pile. I am fairly certain they ran away with my “hit the gym” pledge of 2012. So where does a person go to find their lost creativity? What does a “Lost and Found” look like for an intangible such as this? I have spent the past 5 years making my living by helping people and employees find affordable health care. Although it provides a respectable income, I have never felt connected to it. Yet against my inner voice, I continue on despite my inner calling to do something else. My heart cries out for a connection to purpose and my head wants a connection to security. My head says, “You spent so much time preparing and learning your trade so why would you want to start over?” Somewhere along the way, the head won out and I followed what was practical and never looked back. There is always tomorrow for pursuing what brings me joy. Right? Perhaps tomorrow I will learn the guitar or get back to writing. Well, time has a way of getting away from you so “perhaps tomorrow” is a broken promise disguised as regrets evil twin. Like a neglected spouse or lover, I don’t think my creativity got lost as much as it got tired of waiting and went to find a better caretaker. I don’t believe it ever gets lost, it just dies without a willing host. Am I alone in this? Does anyone else find they put off their creative pursuits to only wake up and realize tomorrow arrived without bringing along these long forgotten desires? The bigger question is why did I abandon things that bring me joy for work that doesn’t? Why do I continue to put off until tomorrow the things that make my heart sing and brings me joy? Perhaps it is fear of failure or having my creative work mean nothing or be less than good. Who am I to consider making a living from the impractical? Can the practical and frivolous share a space together? There is only one way to know for sure. Although there is no “Lost and Found” for lost creativity or joyful pursuits, there is a way to reclaim this part of your soul. Take the time my friends for the things that make you smile. Create something for no other reason that it brings you joy. Perhaps if your practical pursuits and creative side meet often enough, you just might find a new career or hobby. If not, do it anyway if it makes you happy! 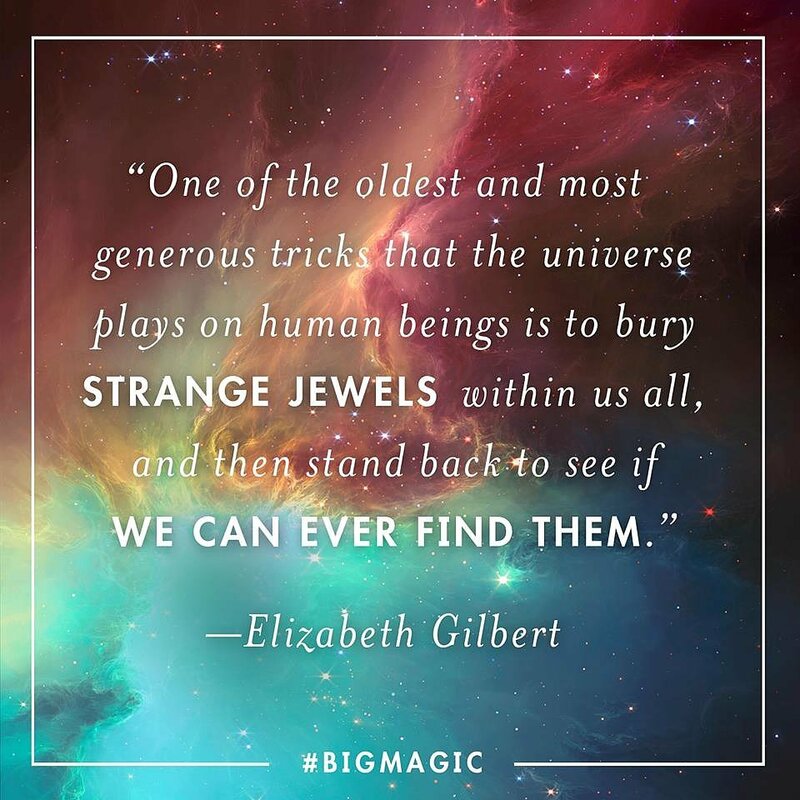 Categories: Creativity, Discovery, Empty Nester, life after children, life's journey, Possibilities, Self Discovery, Uncategorized, Writing your Story | Tags: badass nesties, Creativity, elizabeth gilbert, empty nester, life's journey, lost and found, magic, purpose | Permalink. Why wait till tomorrow to do what you love today. I agree Rocky! Taking some time for people, places and things you love is the best therapy! Happy Fall to you and your family!